What does this mean for the employers and job-seekers we work with every day? What shifts are already underway that impact the education, skills and experience our clients need to develop and showcase in their job search? What are the most in-demand skills in the next 5 years, and what is the balance between technical and "human" skills? Today’s résumés are strategic. They effectively address each client’s unique value proposition along with any barriers and obstacles to employment. If you haven’t updated your knowledge of current résumé strategy for a while you owe it to your clients – and yourself - to get up-to-speed. In this one-day workshop, we'll debunk many myths and misconceptions and ensure that your client’s résumé meets the standards demanded by today’s job market. Members of Career Professionals of Canada (CPC), Ontario Association of Career Management (OACM), and CCDP recipients from the Career Development Practitioner Certification Board of Ontario (CDPCBO) receive a 50% discount on registration. Applying a Value Proposition Model to develop strategic, targeted résumés. Creating strong client profiles using future-focused creative writing strategies and other modern techniques. Understanding Applicant Tracking Systems (ATS) and how to penetrate them in order to improve relevance, ranking, and selection. Employing keywords effectively to address human readers and robots. Uncovering and writing effective accomplishment statements using a competency chart, and SMART and SAR. Addressing elimination factors and improving readability, scan-ability, and peruse-ability. Mitigating various client barriers to employment in the résumé. Reviewing, evaluating, and selecting a range of contemporary documents and designs. By participating in this dynamic, interactive workshop, you will gain practical experience and skill through the study of examples and the hands-on application of your new-found knowledge. Boost your confidence and competency in résumé writing mechanics, and help your clients produce strategic résumés for the current labour market. There will be ample opportunity to network during our complimentary continental breakfast.A light lunch will also be provided. If you have never had an opportunity to complete our online RES-01 and RES-02 certificate courses, or if you want an in-person refresher, this event is for you! Demonstrate a personal commitment to lifelong learning and ongoing professional development. Earn credits towards any Continuing Education Units (CEUs) you require. 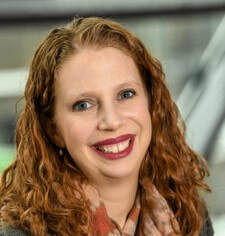 Sharon Graham is Executive Director of Career Professionals of Canada and author of leading career publications including Best Canadian Résumés, Best Canadian Cover Letters, and The Canadian Résumé Strategist. She is the architect behind CPC’s Advanced Résumé Development Certificate Program and the Certified Résumé Strategist (CRS) credential. She researched and developed the curriculum for CPC’s Real-World Résumé Strategy and Technology Optimized Résumés courses among other professional development programs. A pioneer of innovations in the Canadian career development sector, Sharon has established certification, awards, mentoring, and networking programs for practitioners across the nation. Don’t miss the chance to meet Sharon Graham in person. 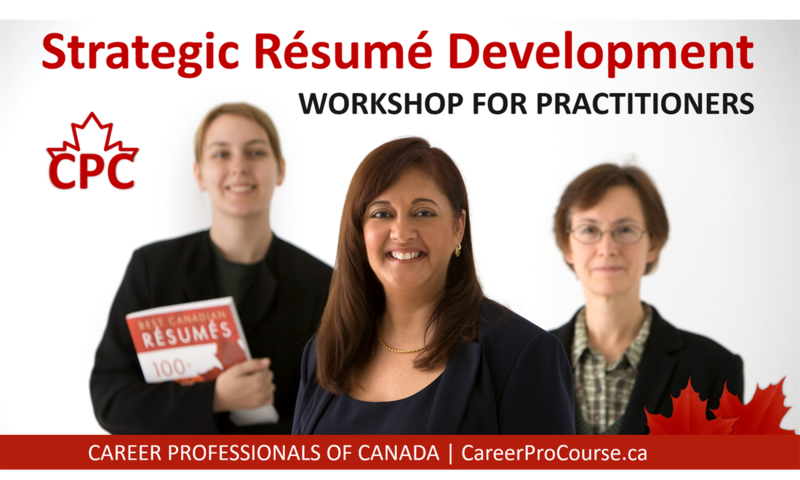 Learn from “Canada’s Career Strategist” in this very exclusive workshop! Thank You to our Supporting Organizations! Career professionals do their best work when they can advise their clients on how to do an effective job search. What we aren’t particularly savvy about are the intricacies of what hiring managers are thinking, where the jobs are, what a potential employer wants to hear from a job seeker to help them make a hiring decision. Do not fear. Our guest speaker, Marc Belaiche, President of Torontojobs.ca, sees the job search world from every angle and perspective from that of a hiring manager, the job seeker and recruiters. ​Join us on February 21st with your OACM colleagues to get the inside scoop! Marc Belaiche, one of Canada’s most experienced recruitment and staffing specialists, will deliver an engaging presentation on his wisdom and insights, and what advice we need to give our clients to be successful in today’s job marketplace. 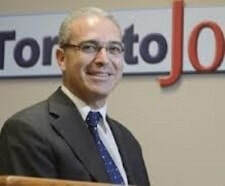 Marc Belaiche (pronounced “BA-LAY-SH”) is President of TorontoJobs.ca (www.TorontoJobs.ca), an internet recruitment and staffing company specializing in helping companies find candidates in the Greater Toronto Area. ​Marc is the author of “Tales from the Recruiter – A Canadian Recruiter’s Perspective on How To Get that Perfect Job”. Marc has been in the recruitment and staffing industry since 1995. Marc is a CPA and CA and is a member of the Human Resources Professionals Association (HRPA) as well as on the Board of the Halton-Peel CPA District Association. OACM is proud to be a supporting organization of CERIC, and Cannexus19, Canada’s National Career Development Conference. The Ontario Association of Career Management invites you to an evening of food, networking and learning. You have a business name, you have a website, but where are your clients? Join us to learn about establishing and sustaining a successful career coaching practice. Hear from two independent practitioners on what has worked and what hasn't. Learn how to establish referral partners, refine your business infrastructure, and use strategies and tactics to build or improve a profitable business. Workplace Rituals, Longevity and LegacyThis talk reveals the untapped opportunity to ritualize lifelong accomplishment and legacy building. Key moments over the course of our lives and careers are often marked by ‘rituals’: the traditions or milestones that exist to acknowledge our accomplishments and connect us with others. We graduate, land our first job, receive our first promotion, get our first apartment…and we may go on to form our own families, have our own children. Yet, while many of life’s beginnings such as these are acknowledged by rituals, at some point our rituals start to be tied to the accomplishments of others – we celebrate our friends’ or family’s “firsts”, we attend award ceremonies of our mentees. What about life’s middles or transition points? This is where real life and real legacies are created: the other jobs we choose, the jobs we lose, the path we take, and the rich life we live in between the milestones. How is the changing landscape of work and longevity creating a need for new rituals – and how are new technologies disrupting our sense of accomplishment and connections? ​What are the skills and attributes needed to work in different sectors? How can you support your clients to know what is required to stay current with industry requirements? Mandie joined the Hospitality Workers Training Centre (HWTC) as the Director of Strategy, and advanced to the Executive Director’s role. HWTC is a non-profit organization that provides hands-on, relevant training and programs that meet job seekers work and life needs, and align with the needs of the Hospitality industry. Labour Market analyses show that by 2025, demand for tourism workers in Toronto is expected to increase by 45%. It is a sector-based workforce development organization that promotes industry-based training in the hospitality sector as a way to create better jobs, stability and higher wages. Roger has worked in Human Resources for about 30 of his 40 years in the workforce. After spending 20 years in the Life Insurance business, he has been at the University Health Network (UHN) for about 19 years. Recruitment and Volunteer Resources at UHN has been his responsibility for the past 13 years. The UHN consists of Princess Margaret Cancer Centre, Toronto General Hospital, Toronto Western Hospital and Toronto Rehabilitation Institute, is a recognized leader in patient care, research and education.. The UHN has close to 16,000 employees and actively recruit for about 3,500 vacancies a year. Basu is a senior executive in the training industry, being a member at the faculty of engineering at the Centennial College in Toronto, and also runs a corporate training facility located in Toronto, which offers career-focused training for the staff of organizations like Service Ontario, Farmers Insurance, Shoppers Drug Mart, Rexall and Cisco Systems. Basu manages complex IT projects , providing training, technology, business and communication consultation to Fortune 500 Companies including Lehman Brothers, Philip Morris, Priceline.com, Marsh & McLennan, Prudential, Bayer etc. He works as a consultant in the area of Business Analysis, Agile Project Management and SCRUM implementation. His current projects include developing e-Health tools with collaborative funding from the Federal Government in partnership with a major institution of higher learning in Ontario. As Senior Vice President of Liberty Development, Marco contributes significantly to growing the housing industry of Ontario and GTA: the busiest housing market in North America, a top 3 in the world. Liberty Development specializes in high-rise, mixed-used developments, which include residential, retail and office buildings, and is a leader of more progressive developments in suburbs. They are committed to green design and green building standards, and demonstrate the importance of sustainability through other projects they undertake. They are an environment leader among developers. All of the above speaks about their staffing and importance for varied skill sets, abilities, qualifications, knowledge and competencies they look into when acquiring talent, either through internal staff or hired consultants. Born and raised in Ireland now living in Toronto, Aoife has traveled to 29 countries in over 6 continents. She has two words that describe why we should travel: inspiration and education. Travel and tourism is big business. Toronto is the leading tourism destination in Canada, welcoming over 40 million visitors annually, employing more than 300,000 people. Visitors spent over $7.2 billion in Toronto in 2015. At City Sightseeing Toronto, they pride themselves in offering the highest quality tour at the most attractive price. The efficiency and reliability of service, and, of course, the caring and charismatic nature of their friendly staff all highlight their commitment to excellence. Ever struggle knowing what to say about your experience, services, or successes? How about how to say it or where to say it? ​ Join us as we kick off our season of events and sought after webinars! For our first in person event of the season, the focus is on Profiles! With two amazing and dynamic speakers, buffet dinner, and peer networking, you'll leave with insights and actions that could improve the way you present you and your business and how you service and support your clients. Riz Ibrahim, Executive Director for CERIC. CERIC is a charitable organization that advances education and research in career counselling and career development, in order to increase the economic and social well-being of Canadians. Riz will share with us some of the innovative resources they've developed to help build the skills of career professionals. 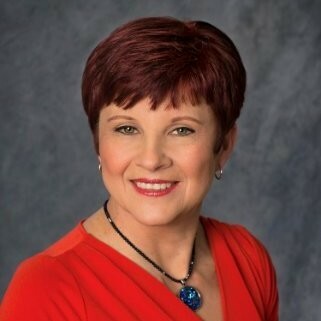 ​Keynote presenter, Shelly Elsliger, LinkedIn Master Facilitator. What does your LinkedIn profile say about you? Does it attract potential clients and collaborators? Does it enable you as a leader in your industry? What about your clients? How can you coach them to enhance their LinkedIn profile, optimizing their opportunities to attract a recruiter's eye? Shelly will takes us through an interactive session where she'll share what employers look for and the must haves for job seekers to be found. Strengthen your on-line presence and that of your clients. LinkedIn is a powerful and comprehensive online branding tool. Make sure that yours, as well as your clients have what it takes to create IMPACT! Bob Lank, Group Leader with CEO Global Network Inc., will present Effective Career Management: Peer Mentorship and Coaching Modalities he has utilized as an Executive and Career Management Coach. All coaches and counsellors desire results with and for our clients both in the public and private sector, in HR within an organization or while managing others. Ultimate results come from using tried and proven methodologies, state of the art. Career/workplace professionals actively use both group workshops for organizational career management purposes and one-on-one counselling or coaching, separately or in combination. At the AGM kenote presentation Bob Lank will share proven strategies where he has successfully combined individual and group coaching methodologies to help clients grow, learn, and ultimately move their careers to the next level. Bob brings his many years of experience as a senior management leader in career transition and executive leadership coaching to this session. Bob honed his skills at both Murray Axmith & Associates and Right Management Consultants. He has substantial experience in delivering coaching services one-on-one as well as leading peer-input group services for these same clients. It is this methodology that he will share with us on June 15. About the mixed-model he employs, which provides synergies between the modalities, thus providing greater value than using one method or the other. Cautions to watch out for: confidentiality, managing client dominance, respect for client experiences and advice of others. Real-life cases and related learnings. 5 individuals are invited to participate in a LIVE Peer Mentor Simulation. If you're interested to participate contact Kristina kristina@kristinasammut.com, while spaces are available. Note: At this time partipation is open to OACM members. This is a real-life coaching simulation. Actual situations will be shared with the group and audience as observers. A portion of this evening will be dedicated to our Annual General Meeting and Member Vote on the Nominations for Officer positions for next year! Dinner and networking will be included. The OACM Spring Career-A-Thon is here! Register today for a jam-packed professional development event 'cracker-barrel' style, where you will have the opportunity to hear 3 presentations of your choice and engage in sessions that are hot in the market and matter to you most. Learn how to say anything to anyone. In counseling or coaching a client about a sensitive issue, or someone who won’t engage or who needs massive motivation, you require skills that enable you to breakthrough and inspire them AND leave a positive impression. There are strategies and techniques that produce positive results rather than a defensive attitude and more stalling. Learn these skills and find new confidence and ease in all your counseling and coaching sessions. Women & Career Advancement with Kristina Sammut, MAdEd, CMP; President and Founder of Executive Coaching for Women (ECW) Women are underrepresented and under-compensated in the market yet make up half of the workforce in Canada. Kristina Sammut will share insights into the barriers to advancement for women and how her values-based leadership strategically positions women in leadership roles for career advancement, develops their leadership presence and negotiate their worth. The Top-10 Tips on Coaching a Client/Employee with ADHD with Jill Kirson-Tejumola, Certified ADHD Coach, ACCG As a certified ADHD Coach Jill utilizes a strength-based and individualized approach to help clients learn about common ADHD traits, potential executive function deficits and how to address them to increase performance and success. Learn how to identify the Top 10 Tips for Coaching a client or employee and the appropriate accommodations necessary in school and work. Key Ingredients to Starting Entrepreneurship with Ric Phillips, Head Communication Coach/Trainer 3V Communications Ltd., YEDI Advisor/Instructor Young students, recent grads and seasoned professionals may consider taking the exciting path of self-employment or building a business. They often seek advice on key components to consider before going down that potentially risky path. This talk will share with you the key questions you should ask them to help them flesh out their idea and understand if they are really ready to become an entrepreneur. We will share strategies and resources relevant to both for-profit and non-profit venture ideas. It’s not enough to just have an idea! After this, you can give them practical ‘homework’ to test their desire to be an entrepreneur! The Multi-Generational Relationship in Today’s Workplace with Wilf Flagler, TDSB Increase your awareness of what is looming on our employment horizon in the very near future. Learn to recognize inter-generational tendencies, which can be road blocks to effective productivity in ones’ career. Wilf will share a 3 step strategy to improve inter-generational relations at work. Learn creative ways to make workspace more collaborative, encouraging innovation & creativity. Enjoy an inspiring presentation with guest speaker, John Zettler, MBA, for insights into emotional intelligence and its value to Career Practitioners today. Understand how EI can be used to support the growth and development of others and its application in coaching, onboarding, succession planning and career transitions. Also, explore how to assess and develop your own Emotional Intelligence. John Zettler, Director of Talent Strategy & Development with the Dale Carnegie Business Group, is an experienced Human Resources Leader with 20 years of professional experience across several industries. A highly regarded coach, facilitator, and People Strategist, John brings an authentic energy and passion to his work. John’s presentation is based on Daniel Goleman's teachings. Goleman is widely regarded as the top mind in the development of the EI concept and conducted a study to determine the differentiator between good and great when it comes to performance. He concluded that to be a star performer we need to have the right skills and experience, but to truly be great in our roles-EI will take us there. Dinner is included with your registration! This professional development opportunity for OACM members and non-members is also eligible for credits toward The Institute of Career Certification International. Bring your colleagues and join us in kicking off this fall's networking and professional development events by attending the OACM's fall Members Plus Social on Tuesday, October 18, 2016. Come out for a night of networking and light food and participate in our "Loonie for Learning"... Bring any professional development book in Career Development that you wish to 'barter' or hand off to a worthy professional in our field. Helping to give back by sharing your knowledge and 'old books' that can enrich our discussions and the education of those developing in the profession. Help to give back by sharing your knowledge and 'old books' that can enrich our discussions and the education of those developing in the profession. Have a chance to network with the board and other members, share your work and learn about the upcoming professional development events for 2016-2017. This is an opportunity for you to help grow our organization by bringing along a colleague. Someone who has always wanted to know more and meet professionals, but has not made the investment in themselves by joining us…just yet. Registration is free. Light food and refreshments will be available. Mark Venning of Change Rangers and the Ontario Association of Career Management presented at our Annual General Meeting. How do we plan for what’s next? As a former International President of ACP International, Mark brings, as usual, a broader global perspective on this topic; and with his expertise as a career professional and his extensive study in the field of aging and longevity, he can help us to demystify the issues of work in later life. 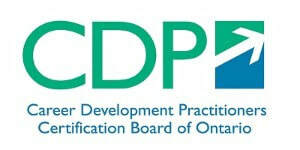 The Career Development Practitioners’ Certification Board of Ontario (CDPCBO) is pleased to invite you to an evening of stimulating discussion and networking. 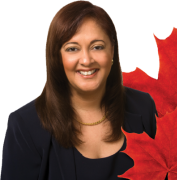 Sareena Hopkins of the Canadian Career Development Foundation will be speaking on: Professional Identity, Pride and Profile. This engaging session will stress the importance of the work of career development practitioners from all areas of the field and the impact of our work on individuals, families, communities and the economy. Join us to get “loud and proud” about our profession and to meet other practitioners. Join us for a dinner and speaking event on April 6 for a first-hand look at RBC’s leading-edge approach to Recruitment. More and more companies are using assessments in the screening and selection process to gauge a candidate’s talent and form individualized probing questions. As a key member of the Recruitment Group within Human Resources at RBC, Maja Dettbarn provides talent assessments to support recruiters in yielding high quality hires who fit well into the firm’s values, culture and job roles. © 2016 Ontario Association of Career Management. All rights reserved.